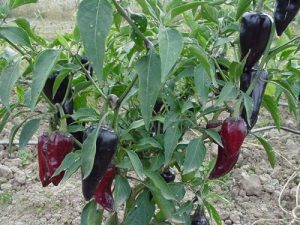 Chimayo-(Capsicum annuum)-Chimayo chiles are a chile that is deeply rooted in Native American and New Mexico Historical culture. Named after the small town just 28 miles north of Santa Fe, New Mexico. The name Chimayo comes from the Tewa Indian word which means flaking red stone. The town of Chimayo is home to the El Sanctuario de Chimayo. A place of worship built in 1816 and one of the most visited Religious landmarks in America. People make pilgrimages there every year from around the world. It is rumored that this chile was brought to this valley in 1598 by Don Juan de Onate when he settled the area on behalf of Spain. 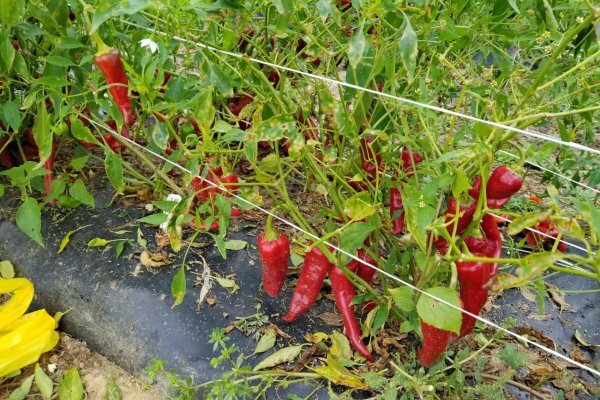 The Chimayo chile is grown in the surrounding valley and is harvested when red. It is not produced on a large scale so the powder still gets a good price. The flavor is very complex and you can make sauces with just the powder and salt and nothing else! So just imagine how much you can do with it in the kitchen with other ingredients! 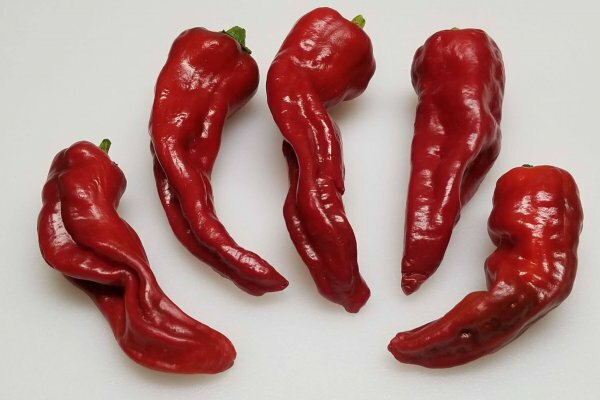 The Chimayo chiles are over 1 inch wide and 3 to 6 inches long. 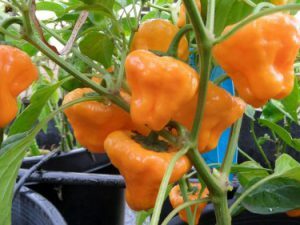 They can be eaten freshly roasted but are more suited for making seasoning powders after drying. 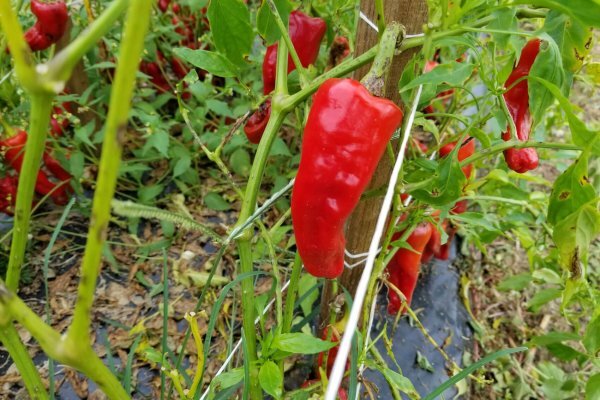 The Chimayo chile plants are very productive and grow to almost 2 feet tall. Chimayo chiles are a chile that is deeply rooted in Native American and New Mexico Historical culture. Named after the small town just 28 miles north of Santa Fe, New Mexico. The name Chimayo comes from the Tewa Indian word which means flaking red stone. The town of Chimayo is home to the El Sanctuario de Chimayo. A place of worship built in 1816 and one of the most visited Religious landmarks in America. People make pilgrimages there every year from around the world. 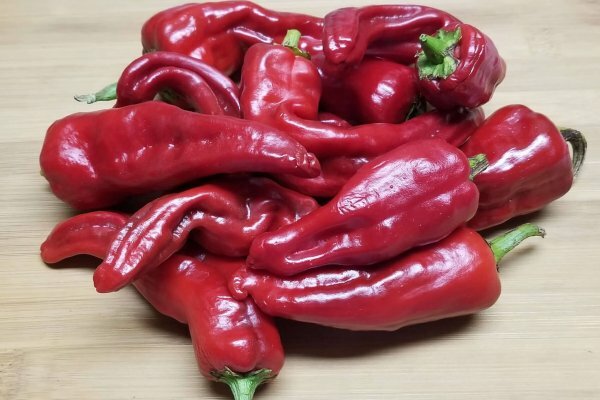 It is rumored that this chile was brought to this valley in 1598 by Don Juan de Onate when he settled the area on behalf of Spain. 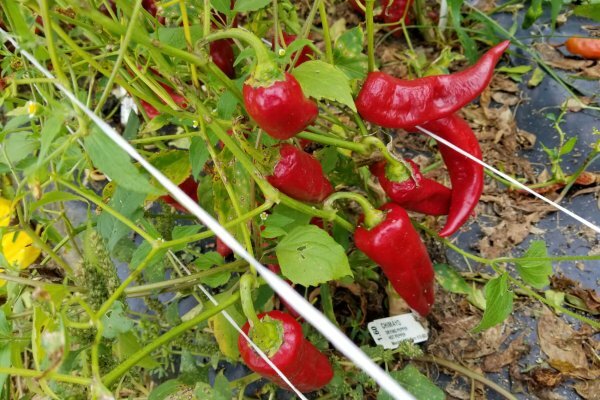 The Chimayo chile is grown in the surrounding valley and is harvested when red. It is not produced on a large scale so the powder still gets a good price. The flavor is very complex and you can make sauces with just the powder and salt and nothing else! So just imagine how much you can do with it in the kitchen with other ingredients! 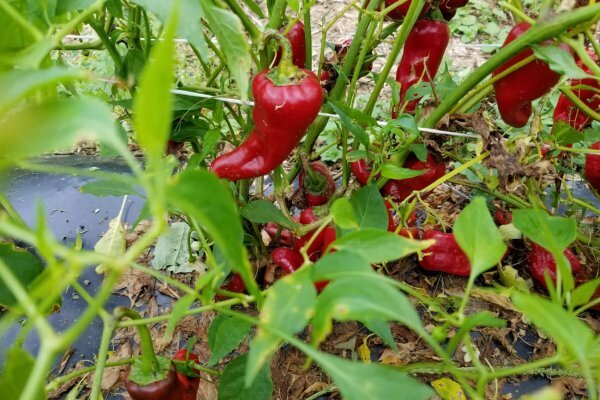 The Chimayo chiles are over 1 inch wide and 3 to 6 inches long. 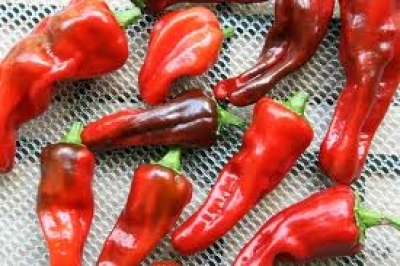 They can be eaten freshly roasted but are more suited for making seasoning powders after drying. 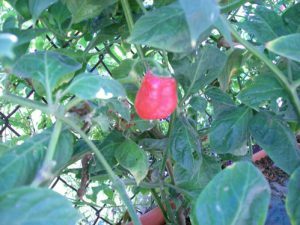 The Chimayo chile plants are very productive and grow to almost 2 feet tall.